Akabane points for treating pain and inflammation in the left foot. Here are the special Akabane points that I promised to share with you. Excuse the rough foot drawing that my 4yo and I came up with. 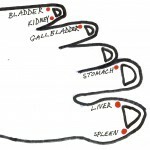 You might wonder why there are 6 toe nail bed spots that we will treat with laser acupuncture and 4 that we won’t. That’s because we only treat the points where an acupuncture meridian either begins or ends. 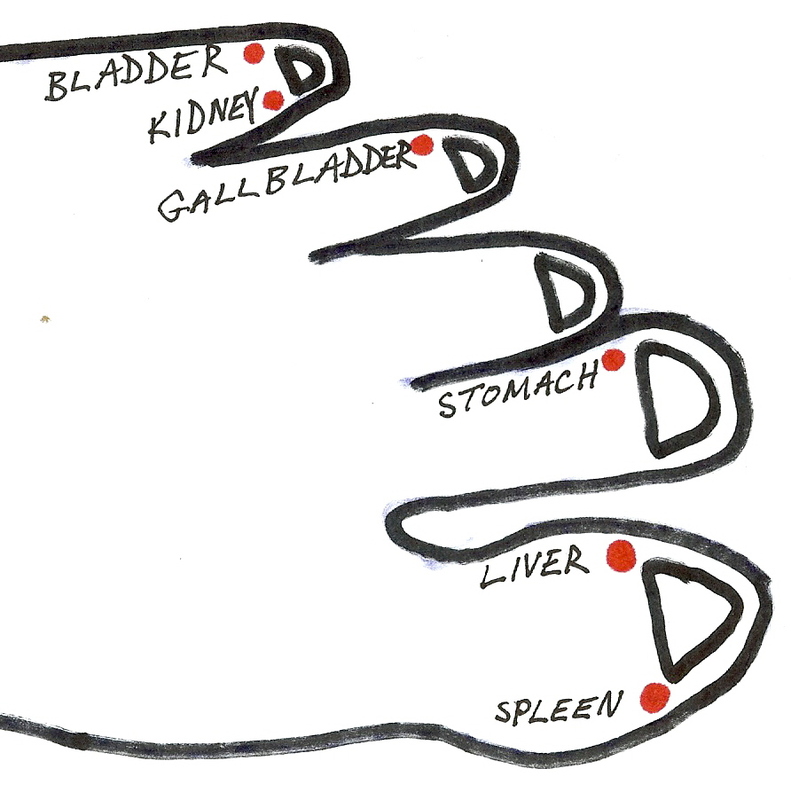 I have listed the names of the 6 meridians that do so on the foot FYI. 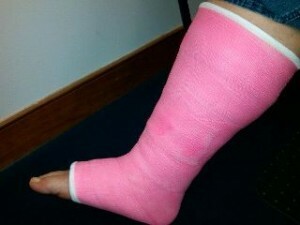 2) treating inflammation and pain. Hey Dr. Todd…I have a question for you. My husband was thinking about purchasing some kind of cold laser technology that he had seen advertised in the past for stimulation of hair folicals for hair regrowth and thickening. I told him that you used cold laser therapy in your practice and that I would check with you to see if it is proven for hair growth or or not. If you do not know, would you know where I could check on the veracity of those claims for hair regrowth? Thanks for any info you know about it.